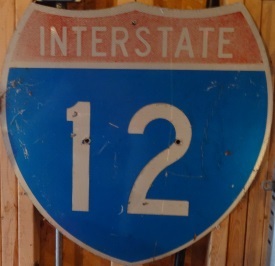 Interstate 12 is an east-west highway in Southern Louisiana. It runs from the from Sidell to Baton Rouge. This highway is a bit over 85 miles in length. It runs along the northern shores of Lake Pontchartrain. 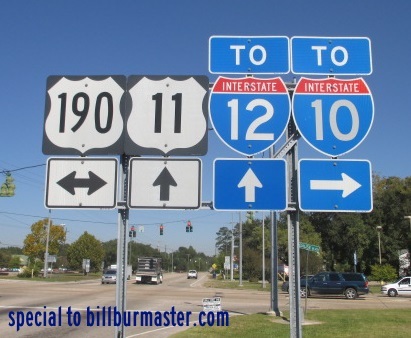 I-12 connects to Interstate 10 at both ends. On the western end it also connects with Interstate 59. The Louisiana State Legislature has this interstate highway designated as the Republic of West Florida Parkway. While in the State of Louisiana, I-12 is not multi-plexed. Interstate 12 crosses the following interstate in Louisiana. Interstate 10, near Baton Rouge. There are no branches of I-12 in Louisiana.